Product code: ES1340 Categories: Sold Items, Sold Watches. 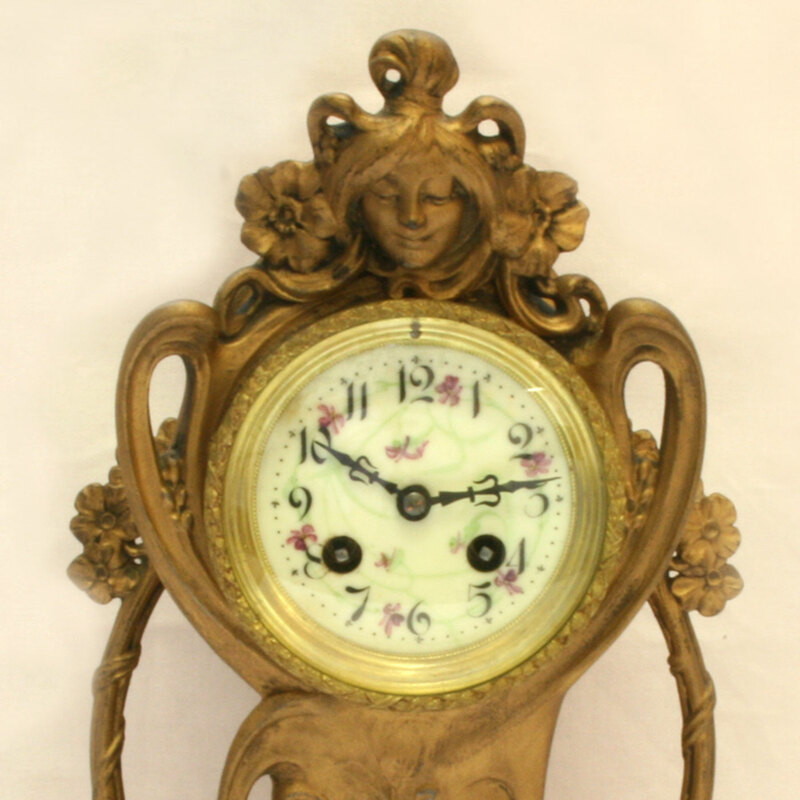 Here is a clock that is so typical of the Art Nouveau era of the late 1890’s. Measuring 37cm (h) x 23cm (w) x 12cm (d), this antique Art Nouveau clock will stand proudly in any room and always be admired. Striking on the hour and half hour with a wonderful soft “ping”, the movement is a French 8 day movement that has been serviced and runs perfectly. The case is its real standout feature, with its asymmetrical design, the woman at the top and the flowers along the signed case. Even the dial is attractive with the hand painted numerals and flowers are so pretty. 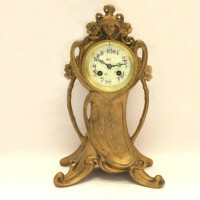 If you love the Art Nouveau era, and are after a high quality unique clock, then this one you will fall in love with.